St Paul's appreciates the efforts of parent and family volunteers. We love valuing our parents and other family members at our annual Mothers' Day stall and Prep Mothers' Morning Tea, our Fathers' Day stalls and Prep Fathers' Day mornings, and our Grandparents' Day each year. Listening to class reading and assisting with work groups. Being a parent helper on school excursions and camps. Joining the school Parents and Friends Group. Being involved in the Fair (fete). Assisting at sporting events such as Athletics, Swimming and Cross Country carnivals. Volunteers who are parents of the school do not require a "blue card" clearance. All regular volunteers are required to abide by the terms of the school's Volunteer Agreement Policy. Parent volunteers who attend camps must familiarise themselves with the Volunteer Roles and Responsibilities when attending Camp Agreement before attending the event. Volunteers are an important part of the school's community and their contributions are significant and appreciated within the school. The Parents and Friends Group organises and runs the school's various fundraising ventures. Many of these are regular events on the school calendar e.g. our mothers' day stall and chocolate drive. The Parents and Friends Group is comprised of parents and family members of school students and donates their time and energy as volunteers. The funds raised by this group go directly towards identified projects and equipment to continually improve the learning environment for all the children. All parents are welcome to become a member of this group. Parents, Caregivers and Grandparents are welcome to join our P&F Group Facebook Page https://www.facebook.com/groups/SPLPSPandF/?ref=group_cover. This Facebook Group is Administrated by the Parents & Friends Group with the intention of sharing ideas and information within the school community. Additional information regarding this group can be found a the following link: Guidelines for the P&F Group Facebook Page. 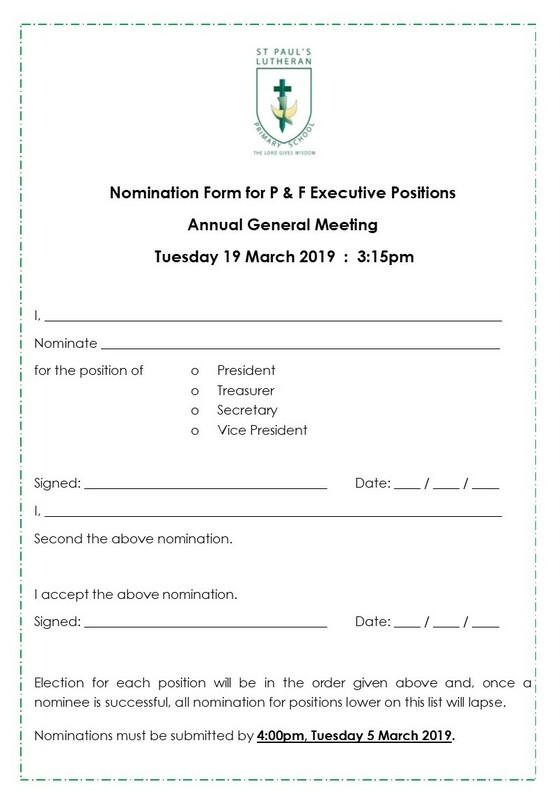 The Parents and Friends Annual General Meeting is held at the beginning of every year in March.